Two cabins, one detached garage and many out buildings. 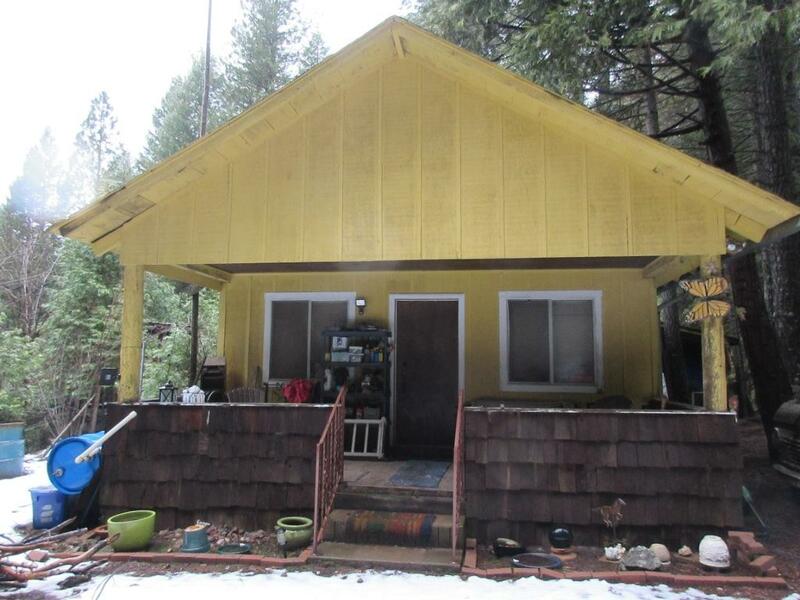 Primary cabin is 2 bed 1 bath. Nice deck just outside a sliding glass door off the dining area. 2nd cabin is at the back of the property in poor condition. Power and phone at the road but not hooked up to any structures. Has a well and spigots around the property for watering.